Wind knows how to change the world. — Margot Anand, Author of "The Art of EveryDay Ecstasy"
“Oh my Goddess, this Initiation program with Wind has changed my life. I am the Maiden, Mother, Queen & Crone all dancing together as the empowered Divine FEMININE. I can’t ever again imagine my life without Ritual. I am awakened and I am roaring. Thank you Wind for supporting me through this Initiation awakening. You are a magnificent wise woman priestess” -T. C. , CA. “While attending the Portland, Oregon Paradigm Shift conference, I had the pleasure of experiencing a true Quantum moment at Wind's Chakra tuning and drumming ritual. The conference had drawn regionally and nationally with over five hundred in attendance. Speakers included Quantum luminaries like Dr. Amit Goswami and Dr. Fred Alan Wolf, featured in the popular movie, "What the Bleep do we Know" While others spoke about the Quantum experience, Wind precipitated the actual event.She spoke about the Energy Body that has the ability to both transmit and receive information and then proceeded to demonstrate how that actually works in a drumming ritual. The vibrational energy from her drumming became a critical turning point for the conference and made lasting impressions on everyone I spoke to later. I was so touched by her transformational performance with the drums and the visualization that I included a drumming ceremony at our 12-hour Quantum Healing Seminar four months later. 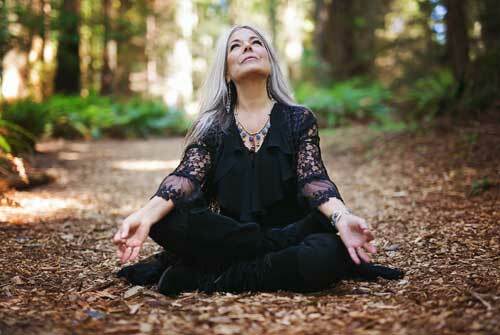 Wind Hughes is gifted healer, speaker and teacher and I highly recommend her workshops and presentations to anyone interested in optimizing their life experiences.” - Noah McKay M.D. 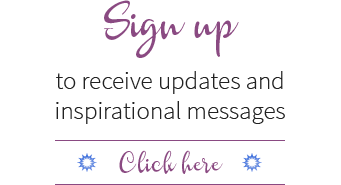 “Wind Hughes is gifted healer, speaker and teacher and I highly recommend herworkshops and presentations to anyone interested in optimizing their life experiences. "Wind Hughes has an extraordinary gift that she effortlessly translates into ordinary language. She navigates the far reaches of the inner realms with courage and passion and guides others through their own journeys of self-discovery. With her penetrating insight and gentle humor, Wind has the unfailing ability to inspire others to discover and harness their own power and wisdom for the greater good of all living beings and the earth that sustains us." "I have seen Wind for individual coaching on a couple occasions and have found the sessions to be highly instructive and insightful. The guidance that Wind offers is gentle and strong and helped me to touch in with my own inner voicing. We worked not only on practical things such as finances and social media connection for my business but also delved into the inner world of dream work and energetic patterning. The breadth of her skills is vast and her wisdom and insight intuitive and practical. She has helped me navigate several big life decisions successfully and I wouldn't hesitate to ask for her guidance again at the next one." "My experience of Wind was magical from the beginning. I was drawn to Wind on a deeply intuitive level as I followed some synchronicities to receive her support and then felt a natural ease from the first time I met her. She emanates a deep presence and authenticity with her love and ‘sparkle’ as a human. She has a gentle strength in the way that she gets to the root of issues. I felt held by her energetically and simultaneously empowered by her to shift some patterns in my life that weren’t working for me. I love how she weaves in her background in therapy with her capacities in the Shamanic realms. I highly recommend Wind to anyone that is seeking support on any level. She is certainly a gift to our community."